After having a nice hiking this Monday (25-Aug-2008), I took a bath and quickly went out to cure my empty stomach. Thinking of it had been a long time since I tried Red Chopstick Restaurant at i-Avenue, Penang, I planned to try it again that night. In my opinion, previously the food is just okay. This time, the restaurant decoration seems improved. Also, the restaurant seems “diversify” itself to include even more cuisines. I even saw pasta in the menu even though it looks like Chinese restaurant. Anyway, after flipping through the thick menu, I ordered rice wine chicken claypot set meal (RM9.90), otak-otak poh piah (RM6.00), and cendol with atap chee (RM4.90). The cendol came first. 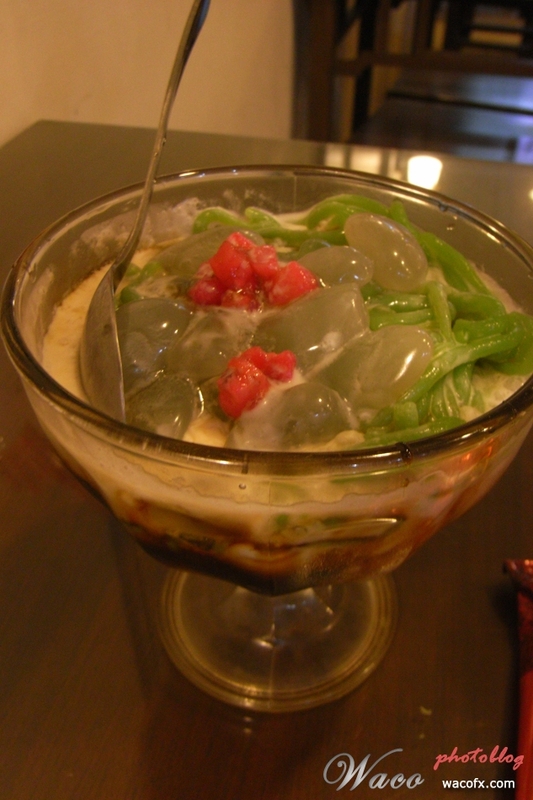 The ice, however, is not properly shaved as it became an ice ball and I have to use spoon to “dig” it… if versus with the one at Thai Station, I still prefer the later one. 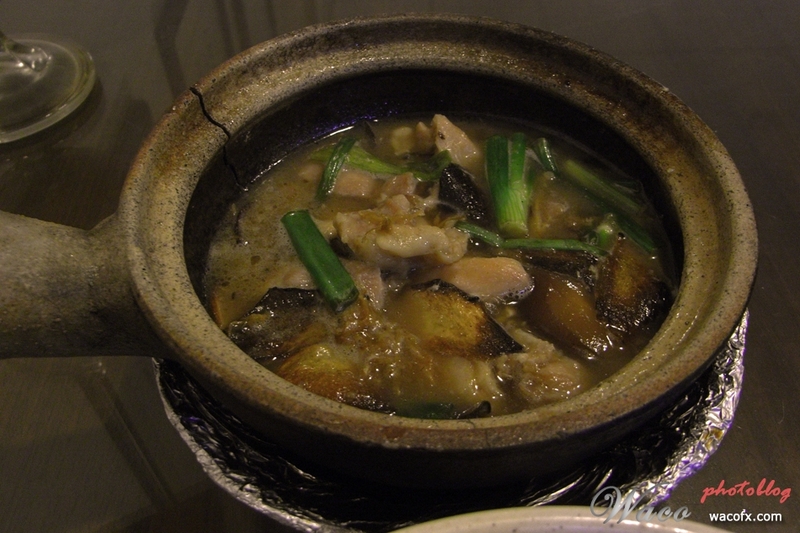 For the rice wine claypot, unfortunately it tastes like chicken cooked with sweet ginger soup. I am expecting it to have little wine+spicy taste but it is too sweet. 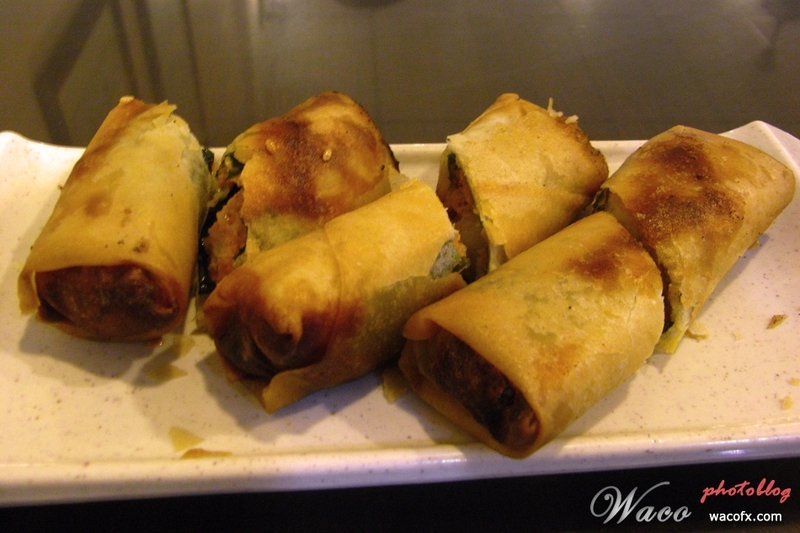 For the otak-otak poh piah, even though the skin is well fried, the otak-otak, including the fish, was tasteless. Perhaps the chef should make it juicier. 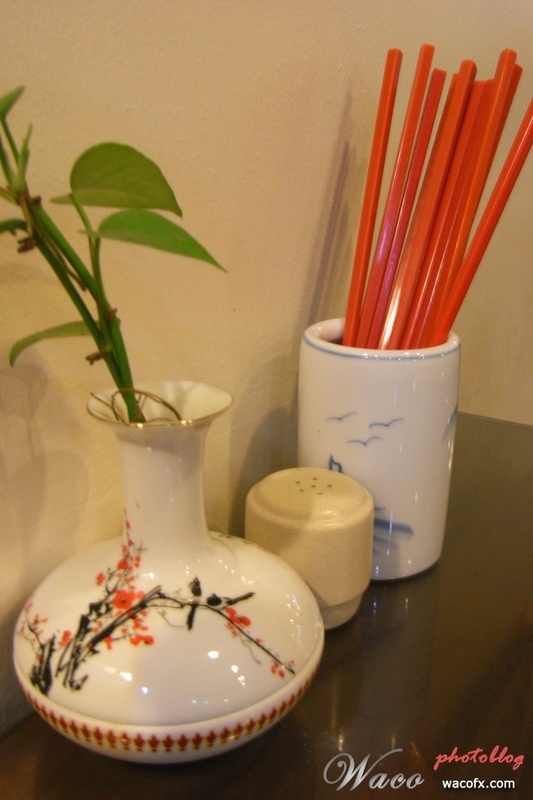 As a whole, even though the menu items had been increased, Red Chopstick should focus on identifying their specialties, and improving them from the feedback of customers.